Don’t feel sorry for Ben Beach. 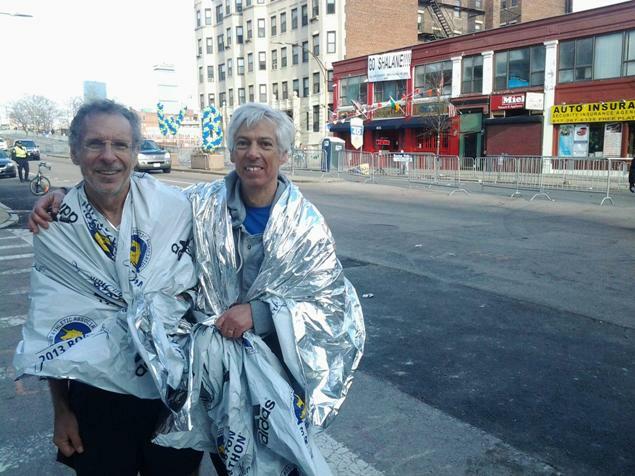 Yes, his goal of a string of 45 consecutive Boston Marathon finishes seemed to end on a closed course just miles from the finish line last year, where two bombs rocked the city and the nation. And yes, a 46th consecutive finish would have made Beach, from Bethesda, the sole record holder for consecutive finishes, an achievement he had worked toward all of his adult life. He didn’t get to cross the finish line as planned and for two months, his streak’s fate was in limbo. “I think all of us with long streaks take the BAA’s view that our streaks grew by one year in 2013,” he said, a week before he starts number 47. But Beach, a man who embodies the tradition and ideals of the Boston Marathon, is defined by neither the race nor his remarkable streak. Given the gravity of that day, he can look past what would have been a culmination of 1,205.2 racing miles on the same stretch of roads. Perhaps. But the Boston Marathon, before the bombs, anyway, was a nice little race in its own right, with champions – anyone remember Lelisa Desisa and Rita Jeptoo? – thousands of qualifiers and hallowed, not hollow, history and records. Beach was set to own outright a remarkable piece of that history with this year’s run. Since his first Boston as an 18-year-old Harvard freshman in 1968, Beach competed in lockstep – albeit one year behind – with Pennsylvanian Neil Weygandt, each runner doggedly starting and finishing every year. But age and injuries finally caught up to Weygandt, who ended his streak by sitting out the 2012 race. Upon completion of the marathon last year, Beach tied Wygandt’s record at 45 straight finishes. As if it were that easy. The early decades featured a string of sub-2:40 finishes, including his Boston-best of 2:27 in the 1983 race. But 11 years ago Beach developed a hitch in his stride, diagnosed as dystonia, a neurological disorder related to Parkinson’s Disease. The problem made training difficult and forced Beach to curtail his weekly mileage. In more recent years, pre-marathon long runs have been no longer than the Cherry Blossom Ten Mile Run in Washington just prior to Boston. Beach credits the streak’s current longevity to treatment at the nearby National Institutes of Health, where he is part of a long-term study and receives regular Botox injections that partially block spasm signals from the brain to the left hamstring. Beach walks with a slight limp and his training runs have grown necessarily shorter; these days he maintains most of his cardiovascular fitness through cycling and an elliptical trainer. Fifteen days before this year’s Boston, Beach completed his Cherry Blossom long run in 1:30:33. Would anyone be surprised to learn that Beach is the only runner to have completed every Cherry Blossom race since its inauguration in 1973? But by the time the entourage reached the 21 Mile mark, it was past 2:50 p.m. and the area around the finish line had devolved into chaos. As Beach and his crew passed Boston College, volunteers joined hands in the middle of the road, halting the race and announcing a temporary suspension. The gravity of the situation slowly became clear. With a fading cell phone signal and before all such transmissions were halted, Beach’s son Carter accounted for Beach’s wife, brother, sister-in-law and friends waiting near the finish line. “That was a tremendous relief,” Beach said. “We had some close calls but overall we were very lucky.” But for a blown-out calf, Beach, his family and friends could have found themselves in the middle of serious trouble. “It was a good day to be bad,” Stewart said. Actually, when pressed, Beach admits he’s got his sights set on another Boston milestone – one perhaps even more Ruthian than consecutive finishes. The great Johnny Kelley started 61 Boston Marathons and finished a record 58 times; depending upon how the 2013 race is officially recorded, and, of course, what the future holds, Beach would be 76 when he lines up for what could be his 59th finish. Beach has already matched Kelley at 17 for the number of sub-2:40 finishes. “But I don’t expect to run an 18th,” he said. Look for Ben Beach at the starting line of next year’s marathon. And the one after that, and after that, and…. Now he’s in his best condition of the last few years. On April 21, he’ll get that chance to do what has hasn’t in two years — cross the finish line. “It’ll feel better than usual, I know that,” he said. “It’ll feel a lot better.